Make the machine more approachable, without sacrificing a good challenge. The stair climber has quite a reputation. On one hand it’s known for its ability to maximize your cardio efforts, increase core strength, build leg muscle, and (let’s be honest) tone your backside. On the other hand, it can come across pretty intimidating. Different from the treadmill or elliptical, the stair climber may take more getting used to. Luckily, we spoke with Aaptiv Trainer Kelly Chase on how to make the stair climber easier without sacrificing a good challenge. Peek at the following suggestions and you’ll be stepping away in no time. Check your form and motions. We’re going to be frank. One reason working out on the stair climber might feel so difficult is because you’re doing something wrong. Don’t worry, you’re far from alone. Using a machine you don’t typically use is to be celebrated! Let’s just make sure that you’re going about it the right way. Begin by lightly placing your hands on the side railings. Ideally, you should be able to use the stair climber without using the railings at all, but using them for balance (especially as a beginner) is completely fine. What you want to avoid is depending on them too heavily—i.e. placing all of your weight on them (and off of your legs) or using them to pull yourself up. From here, check your form. You don’t want to stand completely straight, that’s overcorrecting. Allow a slight lean forward that will prevent your back and knees from overcompensating, and place more of the workout on your legs. Avoid arching your back and locking out your knees, both of which will also lead to overcompensation (and, not to mention, unneeded soreness). Now that you’re ready to go, press the start button. Start off slowly, allowing yourself to get used to the motions. Once you’re ready, take it up to a moderate pace. Take even steps, rather than quick, hop-like steps that’ll only hurt your calves. Also, make sure that your entire foot is landing on each stair (or pedal). Not doing so will also put extra strain on those calves. If you notice that you’re gripping onto handlebars to keep up, you’re going to fast. Adjust your speed, double check your posture, and feel the difference in your workout. “Aaptiv!” Chase immediately answered when we initially asked her how we can make the stair climber easier and more manageable. Using a guided workout—be it through audio, video, a chart, a personal trainer, or otherwise—provides a bevy of benefits that you can’t get anywhere else. For starters, tuning into a pre-set routine takes major pressure off of yourself. With each (literal) step already planned along the way you don’t risk feeling aimless. Someone or something is always there to guide you through your time on the stair climber—or any other machine, for that matter. Moreover, you don’t get stuck in the rut of jumping onto the machine and going, going, going, doing the same repetitive motion for twenty minutes. That can lead to frustration, turning your exercise into more of a challenge. Having a guide (particularly an audio, visual, or in-person one) is extremely motivating. The stair climber may feel particularly difficult because it’s new to you, and you feel like you can’t quite conquer it, yet. Comparing yourself to those around you, as we all do from time to time, doesn’t help, either. By tuning into a trainer-lead exercise you’re not only getting constant direction, but also constant encouragement. You’d be surprised by how a few words of confidence can push you to surpass your own expectations. Be prepared with energizing music. We can’t forget the importance of music. Much like a trainer, certain music has the ability to motivate you, improve your performance, and keep you energized. There’s plenty of research to back this up. “Make sure [that] you are listening to music that really hypes you up,” says Chase. 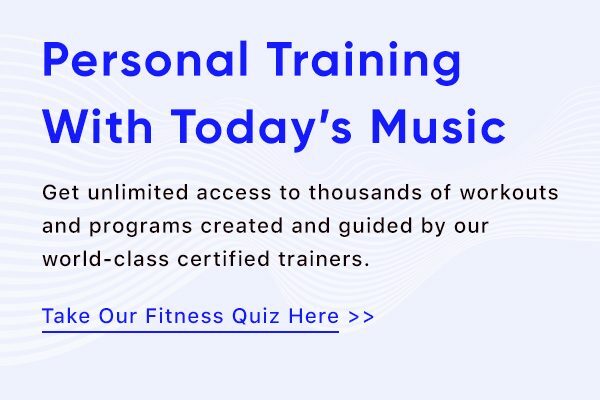 Listening to tracks that have a solid beat and are motivating to you can really get you in tune with your body and workout, going as far as to improve your pace and energy levels. Match your steps to the beat and challenge yourself not to stop until the song is over. Listen to the lyrics and let them uplift your mood. Use music as an ever-present motivator to keep going and the make the stair climber easier. We know, you’ve heard this countless times. Taking the stairs whenever possible is practically one of the tenets of healthy living (right after implementing a healthy diet). While you may be thinking, “Stair climbing is difficult. Why would I choose to climb more stairs?” hear us out. Climbing stairs is a functional movement—aka, one that our bodies often do (and are used to). It, in part, is what can make the stair climber easier and so approachable (just like walking on the treadmill). The more you work out on the stair climber, the easier taking those stairs up to your friend’s four story walk-up will be. And, if that’s the case, wouldn’t the opposite be true? By opting for the stairs as often as possible you’ll be reacquainting your body with the motions. By the time you next make it to the gym, you’ll be more in tune with the feeling and, therefore, the machine. Remember how we said that having a guided, pre-planned workout can make the stair climber easier, because it takes the pressure off of you to come up with something on the fly? And how listening to something—be it a podcast, audiobook, or music—prevents you from getting bored? Get a two-for-one by following workout routines that contain intervals and changes. Performing them keeps you on your toes and paying tons of attention to what comes next. The goal is that you’re so in tune with the workout that you’re thinking, “Only 30 more seconds at this speed,” instead of, “when is this over?” Switching it up will keep you involved and excited and make the stair climber easier. Your workout will be complete before you know it. Sometimes it's safer just to stay inside. Start the year with a bang (and a new personal best). The point of yoga is actually to gain flexibility and strength.